Between the close of the Mexican War and the start of the American Civil War, perhaps the most exciting chapter in American history was the great California gold rush of 1849-50. In January 1848, at Sutter's Fort, now Sacramento on the American and Sacramento rivers, gold was discovered by James W. Marshall, a former Hunterdon County resident, and within a short time 'gold fever' had seized the minds of many Americans. By the end of two frantic years the once lightly settled region gained an almost instant population. Not only were Americans mesmerized by the possibility of great wealth, but Germans, Frenchmen, Englishmen, and Australians came to fill their pockets too. Some went home with great riches, but most were not so fortunate. Some starved, died in their effort to reach the gold fields, became crime victims, or just broke even. To many, their only compensation was having had two years' experience standing in a stream up to their waist in cold water in an attempt to pan enough gold to pay their way back home. Others had to borrow for the trip home. But for California the gold rush was rewarding. Suddenly everybody in America knew of California, the new territory. San Francisco was on its way to becoming an important American city. Some of the 35,000 easterners who made the trip in more than 800 sailings invested heavily in their western dream, and more than a few decided to stay. The trip west was accomplished in three ways: one was sailing from Newark, Jersey City, New York City and Philadelphia to the east coast of Panama and then crossing the isthmus by boat, canoe and mule pack to wait for a steamer to take passengers on to San Francisco. This was dangerous, expensive and time consuming. Atlantic Ocean storms, disease in Panama, and delayed steamship arrivals on Panama's West Coast were problems. A second route to the gold fields was the overland trip, which included stagecoaches, river steamboats and prairie schooners, passing through the vast western plains often at the mercy of the knowledge and honesty of guides who sometimes abandoned their charges. The third passage was by ship from an eastern port around Cape Horn and the long trip up the western coast of South, Central and North America to San Francisco's harbor and then on to the gold fields. Two to five months was needed, depending upon which passage was selected and just how much old fashioned luck occurred in the individual crossing. Essentially, there were two great waves of argonauts. The first was mainly composed of several Californians who were generally considered pretty reliable individuals—a law abiding community. The second was more lawless, from outside the state, from the eastern ports, including Newark, or even from outside the country. As the original Californians were replaced by non-Californians many observers noted a new high in crime. That was the question. Everybody had an opinion about the California Gold Rush, and in a period of national depression following the Mexican War, and economic boredom at home, fleeing to the unknown, to the new American lands on the Pacific rim was a tremendous temptation. Older more established Newarkers scoffed at the idea, and 'those with nothing to lose' thought it just could be their gateway to riches and success. Hundreds chanced it and headed west as individual travelers or in commercial companies. One listing alone in the Proceedings of the New Jersey Historical Society mentions more than 150 Newarkers in 1849 who sailed on more than a dozen ships with names like the Mara, Griffin, Loo Coco, Falcone, the John G. Costar, Brooklyn, Salem Rising Sun, Ocean Bird, Arkansas Marietta, South Carolina Mennon, Eugenia Orpheus, and Empire City. Most of them survived their voyage of two to six months, but few really prospered. Some settled in California but the majority returned home with little gold dust in their pockets, but great memories. What adventures they had, and what stories they were able to tell to their children and grandchildren. Not all were irresponsible, shiftless or unimportant. Included were names such as Alston, Bedford, Canfield, Crockett, Davenport, Emery, Estabrook, Flower, Griswold, Heywood, Jobes, Lathrop, Lyon, Martin, Norris, Pennington, Smith, Taylor, Vanderwater, Woodruff and Young. Two of Newark's most substantial citizens also mentioned in this roster: Seth Boyden and Dr. John S. Darcy. Safety, and possibly good fortune, in numbers was an idea which appealed to the majority of the '49ers' as they moved west in their search for gold. Indeed, there were those who felt better working with partners rather than in setting out into the wilderness alone and so a great many companies were established. These groups or businesses elected officers, purchased goods and materials needed for the trip, traveled together and supported each other both physically and psychologically against the rigors of the trip. While some individuals abandoned their responsibilities or died, the groups generally stuck together until their return home. Companies sailed from the docks along the Passaic in Newark, from Jersey City, New York City and Philadelphia for the ocean voyage to Panama or around Cape Horn. Others left by stage for the Ohio and Mississippi rivers and the long land haul across the continent by prairie schooner. In addition to the Newarkers who headed west, other New Jersey groups banded together at Stockton's Hotel in Mt. Holly, at Morristown and from Jersey City. One January the Harriet Newell sailed from New York for the seven-month trip to San Francisco via the Cape, followed shortly afterward by the Tahmaroo and the Ocean Bird sailed from Jersey City with 10 Newarkers for its six-month trip to San Francisco. The two best-known Newark groups that headed for California were led by Seth Boyden and Dr. John S. Darcy. Boyden we have already met as Newark's genius inventor, called by Thomas Edison the city's most important inventor. He arrived in Newark when its population was only 8,000, and lived through the era when it became one of the country's most important manufacturing cities. Boyden perfected patent leather, invented malleable iron and moved on to the manufacture of steam locomotives, the 'Orange' and the 'Essex.' The former was capable of pulling a train from the Passaic River to the top of Quarry Hill, a grade of 140 feet to the mile. All the time, Boyden was at the throttle of the engine of the 'little locomotive that did.' During his lifetime, he was always in search of a challenge and the satisfaction of solving an impossible problem. It was undoubtedly this quality that led him on to California—not the thought of being able to bring back gold, but in beating the odds in yet another project. On Boyden's 60th birthday in 1849 he packed up and took off for the gold fields with his two sons and approximately 10 men. A reporter noted: 'He always enjoyed the hunt far more than the catch.' The party boarded the Falcone that sailed from New York City on February 1, 1849, and arrived in San Francisco on April 1. This should have been some sort of omen. While some men drifted off, the bulk of them stayed until their return home on December 20, 1850. Boyden's route was by ship to Chagres, Panama with passage across the Isthmus and steamer up the Pacific coast to San Francisco. Perhaps no better account of the gold rush from a New Jerseyan exists than the one carefully recorded by Boyden and printed in the New Jersey Historical Society Proceedings in three parts in 1927-28. His first diary covers the sea voyage passing Charleston, Savannah and Havana and arriving in Chagres. The encounter with the Panamanian forest and being picked up by the steamer 'Oregon' are included. It was at this point that the Seth Boyden Co. was created with D. G. Johnson Captain and S. Boyden Treasurer. Excessive heat was recorded at San Bias, and the ship's arrival at San Diego was hampered by rough seas. The group then sailed for San Francisco harbor. Boyden noted the orange-colored flowers which predominated the area and the rocky shore. He talked about the expense of transporting the baggage to Sutter's Fort. As his company entered land, he noted the native animals but also the fact that 'I bought a sweet cake for 25 cents, that would cost one cent in Newark.' Attention was next turned to details of the mining operations. He concluded the first essay concerned about looking for 'better places to mine.' Boyden's second diary begins in July 1848 and concentrates upon the hard work of mining, the general lack of success and the bad weather. The excess of rain made constant problems with mine washouts and loss of equipment in unexpected flooding. In the later days of his California stay, Boyden attempted to bargain for and exchange claims. There seemed to be a feeling that things were not going well and were not about to recover either. Boyden's third journal flatly states in the first paragraph, 'Did not mine a dollar the past week.' As the previous winter had been cold, this summer was excessively hot. Another entry reads 'mined all the past week; made an unsuccessful attempt by the side of the river; found but little gold and had poor luck all the week.' By December 1 he declared, 'Decided that we would leave the mines as soon as practical after the 15th and proceed home.' A closing statement sums up the situation 'I have been in the mines one year and eight months; have mined 28 lbs., 1 oz., 15 pwt., 10 gr., and have sent home 21 lbs. of gold. Have 3 lbs. more, and $76.62 worth in the treasury to pay our expenses as they occur, and a lot of seeds, trees and curiosities.' The return trip across Panama to Guadeloupe and aboard the Falcone to New York would soon bring the Newark veteran inventor and 'universal' man home to a low-paying position in William Rankin's Hat Factory, but neither seemed to mind too much. Seth Boyden and sons were home, and they were safe. Although reduced financially, Boyden was still ready to start a new quest, and thus he did until the very end of his life. The other company of Newarkers in search of the California gold fields was headed by Dr. John S. Darcy, a distinguished Newark physician, and an unlikely partner in such a venture. He and 36 men formed the Newark Overland Company which crossed the Allegheny Mountains by stagecoach, took a steamer to Pittsburgh down the Ohio River, and up the Mississippi River to St. Louis. From there they crossed the Plains by ox carts, and then journeyed into the wilderness. Along the way some associates left the group by saddle horse, and by the time the group reached Independence, Mo., and Fort Kearny on the Platte River, there were even fewer to cross the Rocky Mountains, on their way into Salt Lake City. On the final leg of the trip they were misguided by a hunter guide, but finally they made it to California by late August, thus avoiding the deadly winter weather that had trapped other westward bound travelers. What made the leader of this company so unusual was that Darcy, like Boyden, was not the typical 'nothing to lose' type explorer that was taking off for the wilds of California. 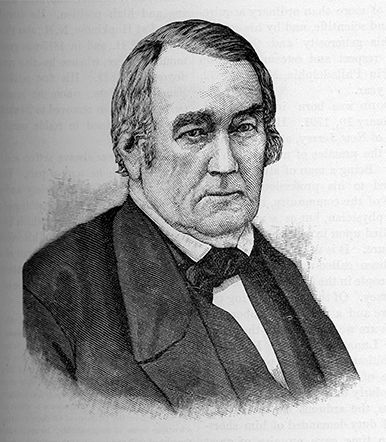 Dr. John Darcy was a physician born in 1788 in Hanover Township, Morris County, and the son of yet another well-known physician. The son was credited with having saved large numbers of Newarkers in the 1832 Asiatic cholera. Darcy was the first president of the New Jersey Railroad and Transportation Company for 30 years, and also was United States Marshall for the District of New Jersey under President Andrew Jackson. In 1849, a statement was made about Darcy making the trip for his health but later he noted that '…although the expedition was in other respects successful, my health was rather impaired than benefited by the trip.' At any rate, his local esteem was rather buoyed by the whole experience and he remained known and respected until his death in October 1863. In 1849-50, Newarkers played a part in America's Great California Gold Rush. High adventure, romance, and lust for gold enticed many to America's newest state with the hope of instant success, but though most returned with empty pockets, once again Newarkers had participated in the continuing pageant of American history.